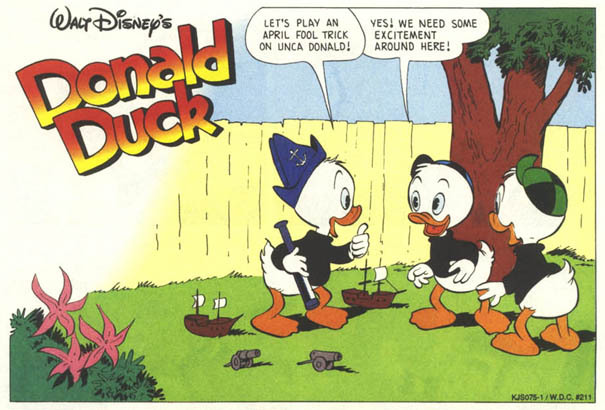 Disney Comics Randomness: What's green and fuzzy and has eight legs? I was searching through the inducks database the other day trying to find an April fool story to talk about. There are some good ones I had almost forgotten about, so the result was me reading a bunch of stories instead. 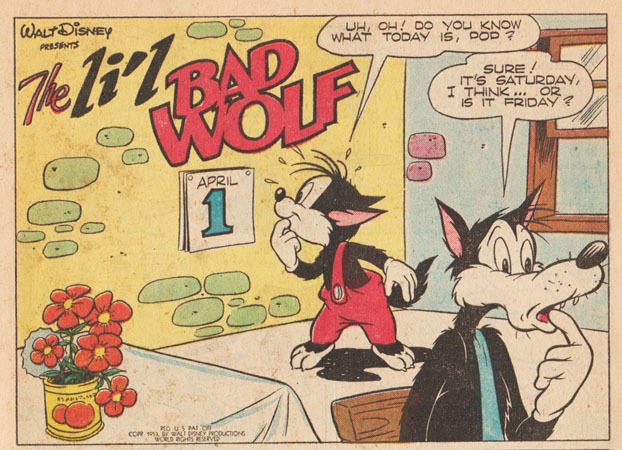 And there's a fun wolf story in Walt Disney's Comics and Stories #152 that is ready for a re-print. There's a lot of Egmont stories and Dutch stories too, not available in English, and one that is only printed in English in the UK. But I didn't really find any I had much to say about. So I'll try something else instead. 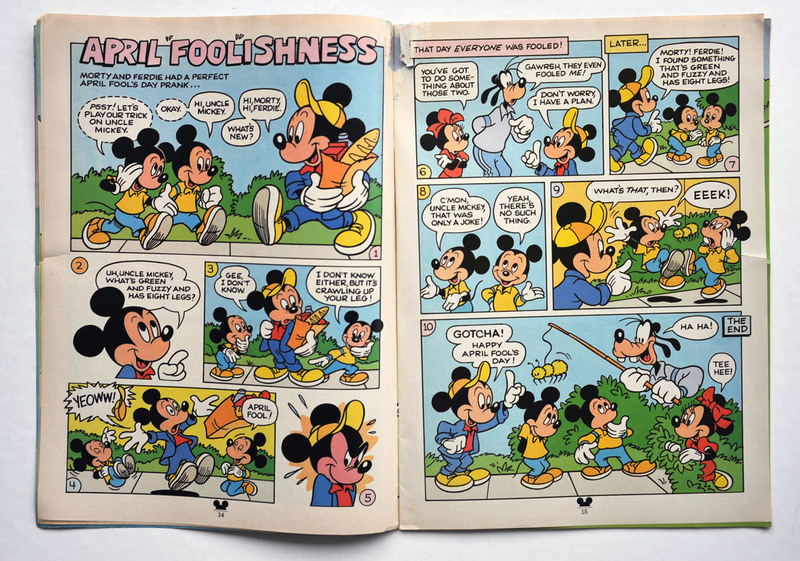 Under a two-page April fool story with Mickey and his nephews, and I thought I could do a little quiz out if it. Alright, now it's been almost two months so I guess I have to reveal the answer. The two-page April fools story can be found in the Spring 1989 issue of Mickey Mouse Magazine. This magazine was not a comic book series, but some of the issues had a page or two with comics. 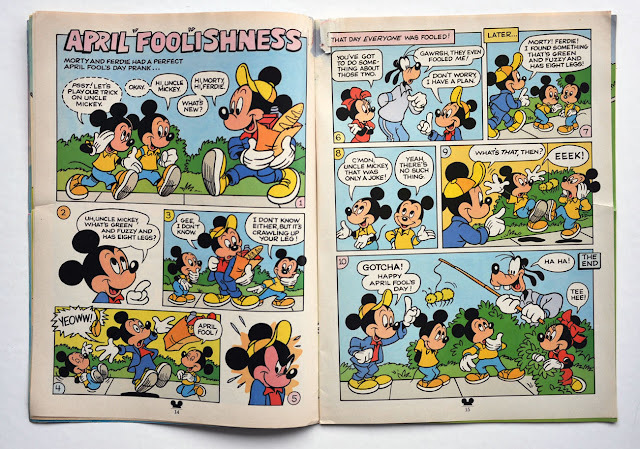 I don't have a whole lot of issues from this series, but I think I remember seeing some Disney Babies comic pages in it too. If anyone get it right, you can request something I should write about on the blog too, if you want – and I'll try my best to do it! The story was published in the USA in the late 80's. And it's not listed in the inducks database. I would just like to note, in case you were wondering, that I have not yet given up searching for where this story was published. I still haven't found it, but I'll keep looking! Well, you've stumped me! I can't seem to find where this comic was published. A very good riddle, to be sure. Ah, so that's what it was! Well, congratulations on that riddle. 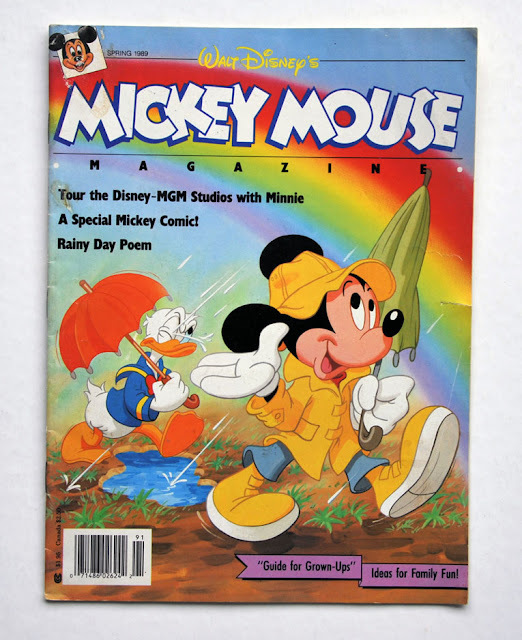 Most of the content in this magazine is not very interesting, so I don't think it's that popular to collect – or well known among Disney comic fans. I just have a few issues I randomly got out of curiosity a while ago.